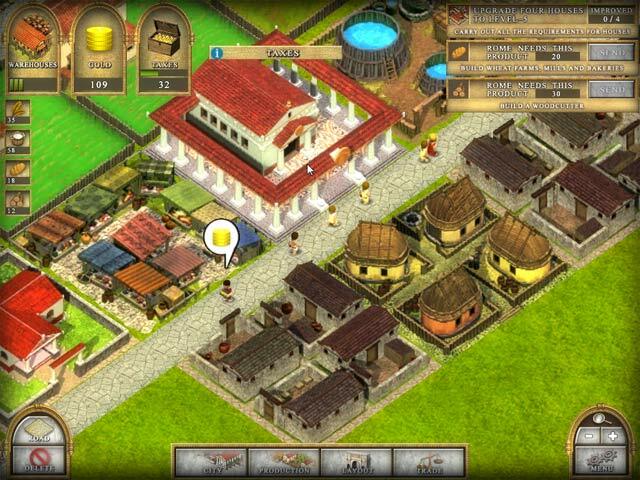 I LOVE IT ... so the graphics aren't quite as good as the old style building games like Caesar 3 but they are certainly good enough for my old eyes to have no problems with and this game didn't cost as much as they did either. I personally think this is excellent value for the money and I would love more games like this please. I can't comment on the music because I prefer none while I am playing these type of games as I like to concentrate on what I am doing ... I actually count squares so that everything lines up exactly where I want it to LOL. There are two things I don't like, one is that I just lost my level progress when I exited the game but that could have been because I hadn't done enough to make it worthwhile saving. The second is the villa that you build with the points you earn for each level, I would have preferred a sandbox level but perhaps there is one at the end of the game as this review is based on playing only half. 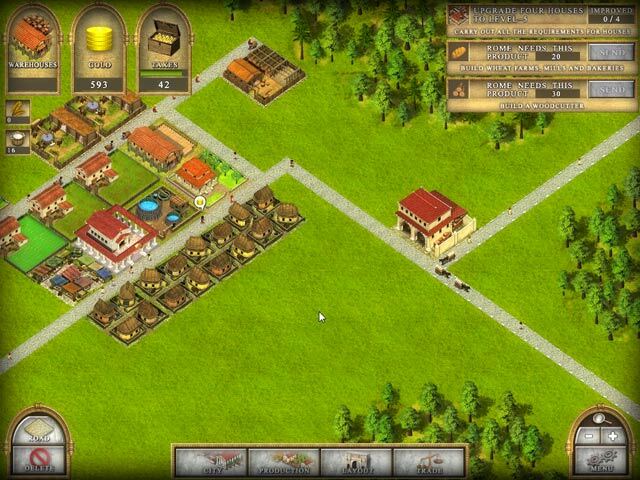 I love city building games and I enjoyed playing this game. Growing, building, trading, mining, fighting, etc., and keeping everyone happy is challenging at times but fun. I liked how the game became more challenging with each of the 30 scenarios. I completed it in a couple days but will enjoy playing again and again. There is also a sandbox option that becomes available. Love this game. 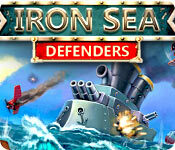 Great strategy game. Loved the building and producing goods. 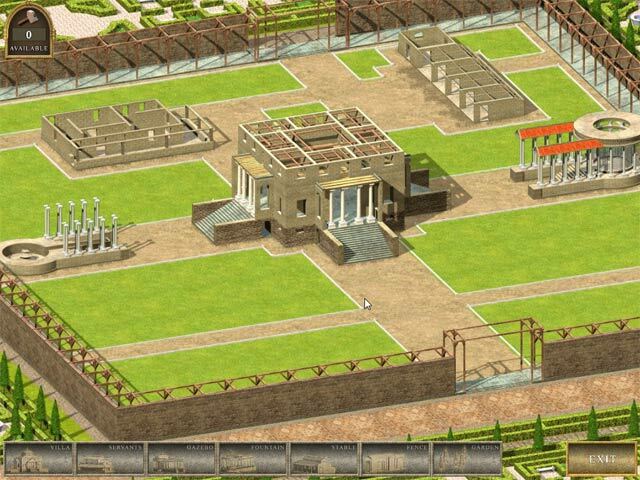 Cant wait for Ancient Rome 3.
i missed the old games of Caesar and Pharaoh that i used to play when i was younger, just really simple city-building games like this. the steps to build the city is really easy, uncomplicated. the only con is that the levels are pretty repetitive and not really challenging. once you have a pattern of a good city, you can basically use it for all the levels. But it's still great fun to play. I just love building games, even though you are supposed to finish with in the deadline, I just play until I feel like moving on and get more buildings. No rush for me, which is what I love about this kind of games. Can't wait to see if more of this genre comes out!!! It is true, that this game is for people who love ancient cities and love to build things. This game needs a lot of imagination and one thing that I love is the music. The reason why I gave this game a five star is because the storyline is down to earth (building a city). The challenge is you have to use imagination and that makes it fun. Both the visual and sound is excellent ( if you like ancient cities and that kind of music). I loved this game but to be fair it's not for everyone. It isn't a fast paced game you can finish in a few hours. 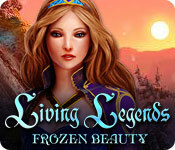 Each level is progressively longer than the last and more difficult. All I can say is play the trial to see if you will like it because it is hit or miss. I really enjoyed this games, the only real problem was that the text was a bit hard to read.